Do you enjoy working in a flexible, Agile environment where your efforts to build mission critical transactional middleware has a direct impact on revenue generation? Do you thrive in a high-energy atmosphere that is constantly evaluating new technology with relentless focus on scalability, resilience and automation and continuous delivery? If you answered "Yes" to these questions then we are eager to hear from you. We are looking for a Senior Software Development Engineer to build next-generation tax system at Expedia, Inc. This highly scalable and resilient system must be capable of calculating the taxes applicable to billions of potential travel bookings per day. It must also be flexible enough to handle the broad, constantly changing range of tax laws and rules applicable in thousands of jurisdictions around the world, while providing robust reporting and audit trails. 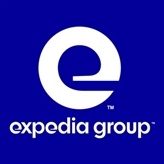 These new capabilities will have a material impact on Expedia's financial performance. Our focus is on Revolutionizing Travel by using technology to manage transactions at a massive scale along with big data analysis. You will be instrumental in the performance of our team to ensure that we meet the global needs of our business. Bring your passion for software performance and metrics driven analysis and be part of our success. This position focuses not only on leading the development of software solutions for state of the art e-commerce processing systems but also on being a mentor to your fellow engineers. You will get to expand your skills in building highly scalable industrial leading solutions while influencing others and raising the bar on the overall level of excellence within the team. You will also get the opportunity to serve as a subject matter expert in cross-functional feature delivery. Must be a voracious learner, especially in the areas of technology, service design patterns and system architecture.